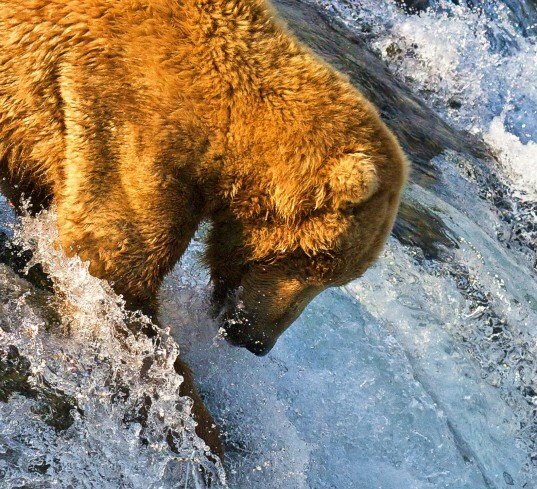 In an unusual twist of the climate change saga, polar bears and grizzly bears are increasingly interbreeding and scientists are taking note. Since 2006, several confirmed and unconfirmed sightings of “pizzly bears” have been reported as climate change alters the habitat and habits of the two species. As the Arctic continues to warm at a disproportionately rapid rate, continued hybridization of bears and other mammals may be inevitable. As the Arctic climate is fundamentally altered by rising temperatures and melting sea ice, grizzly and polar bears are sharing the same space more frequently than in the past. This has resulted in a new animal that in captivity, displays hunting behavior of the polar bear but without its superb swimming abilities. Marine mammals are also sharing new territory and there is evidence that they too are interbreeding. A skull of what seems to be a beluga-narwhal hybrid was discovered in Greenland and there have been sightings of a bowhead-right whale hybrid off the coast of Alaska. While hybrid animals are fascinating, contemporary interbreeding may have devastating consequences for endangered animals like the polar bear. “People often think of extinctions as, well, simply, a population becomes smaller and smaller and smaller until there’s none left,” Kelly says. However, the reality is more complex. As the very specialized polar bear become increasingly likely to breed with the more generalized grizzly bear, the polar bear could eventually become consumed by this hybridization and effectively go extinct. 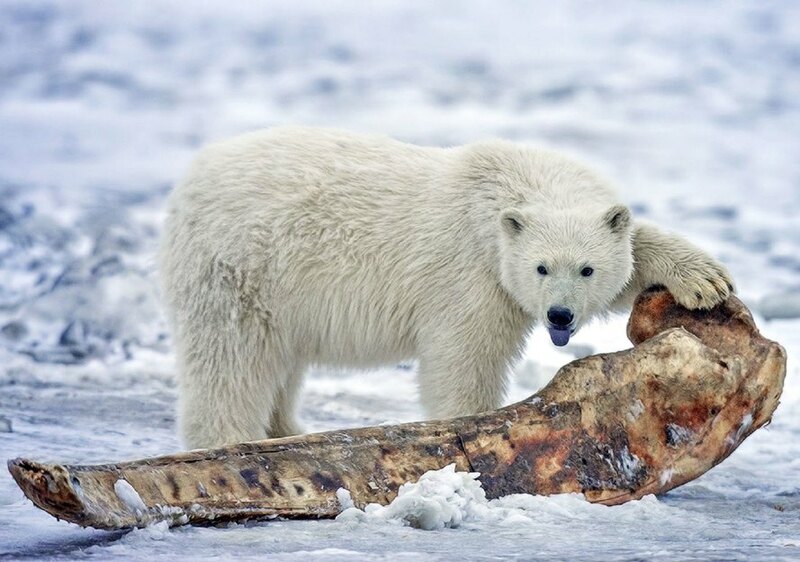 This is not the 'polar bear becoming consumed by this hybridization and going extinct.' This is EVOLUTION. Hybridization is just one of the tools in evolution's toolchest. Polar bears cannot survive without sea ice. Rather than disappearing, they will become something new. This is how it works. We should not interfere. We should be overjoyed that their genetic legacy will survive in the wild, rather than their simply going extinct.